Travellers today face many challenges from risk and safety issues. 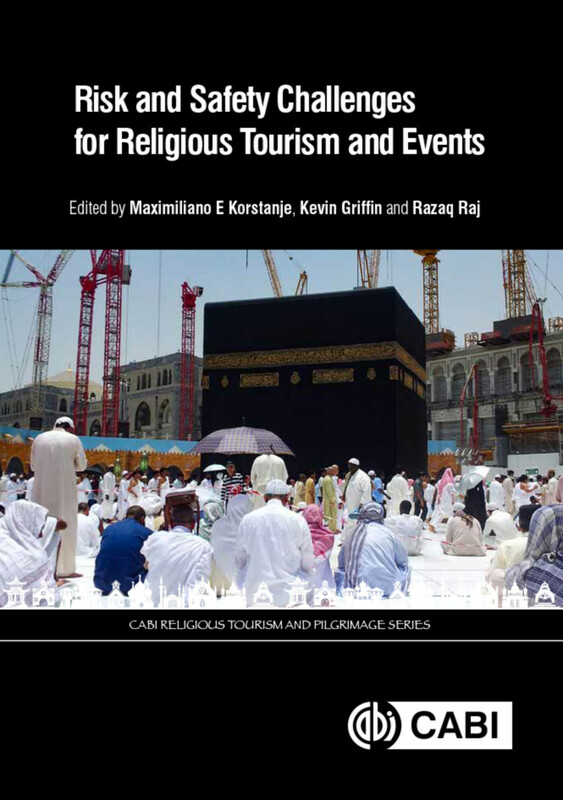 Focusing in particular on risk and safety issues faced by visitors to holy sites, this book looks at the unique challenges raised where annual religious festivals are commemorated with mass gatherings lasting for days and where large crowds require detailed disaster management plans. Beginning with a general section on risk management, covering areas such as disaster management, terrorism, crime and security, the book then delves deeper into specific issues and challenges. It reviews important topics such as understanding the behavior of crowds, how to perform a risk assessment for a sacred space, and travelling in what some would regard as an increasingly hostile world. - Includes a full section of global case studies, as well as discussion questions for each chapter, encouraging readers to translate theory into good practice. - Offers critical thinking on risk, vulnerability and long-term development for mass gatherings. - Covers the importance of disaster management practices and offers practical advice for ensuring attendees' safety. Mitigating risk at mass gathering events and festivals is an area that still needs further research, but this book brings together current thought and provides a valuable reference for those studying religion, tourism and events, as well as event organizers, emergency and hospital services, and local authorities. Maximiliano E. Korstanje is a sociologist who has specialized in the study of risk, travel and mobilities from many interdisciplinary approaches. Recently, his interest was focused on the impacts of 9/11 to tourism and local economies. As a result of this, in 2010 he founded the first journal dedicated to the study of safety in tourism: the International Journal of Safety and Security in Tourism hosted by the University of Palermo, Argentina. His contributions led to being a co-editor for important journals such as Event Management and the International Journal of Tourism and Travel and work as an editorial board member for more than 35 journals in risk and tourism such as: Risk and Uncertainty, Journal of Tourism Anthropology, Journal of Risk Research, Rosa dos Ventos, Journal of Emergency Service Information, Journal of Disaster Resilience in the Built Environment, Studies and Perspectives in Tourism, El Periplo Sustainable, Tourism and Society and International Journal of Hospitality and Event Management. With more than 500 published papers and 19 books, Korstanje is a member of the Philosophical Society of England, The international Society for Philosophers, United Kingdom and the International Committee for Research on Disasters, United States. He has been nominated for three honorary doctorates, and has earned two awards as an outstanding reviewer by Emerald Publishing Group. Razaq Raj is at Leeds Beckett University, UK.